First Data is one of the world’s largest payment processors that proved its reliability and safety for about 50% of ecommerce merchants in the US. First Data provides online store owners with the Payeezy payment gateway, allowing them to offer extended payment options to customers and ensure secure payment transactions. 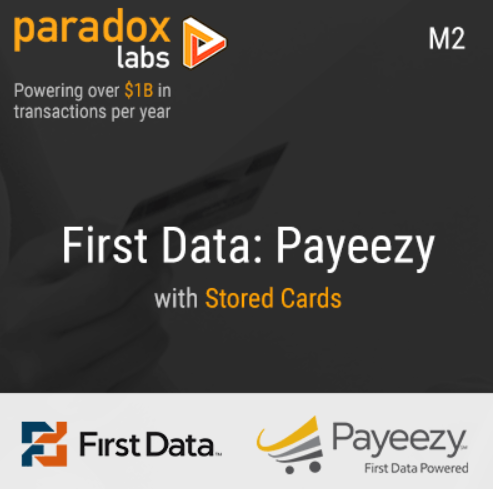 The Paradox Labs First Data: Payeezy extension brings Magento 2 merchants a full integration with the Payeezy solution on their stores. The module allows online shoppers to save their credit cards for future payments and stores all cardholder data entered on your website on the First Data servers. Thus, your clients enjoy fast and secure checkout, while you collect payment data in the most convenient and safe way. Below, you will find an overview of the Magento 2 First Data: Payeezy module’s features, as well as the description of its backend and frontend functionality. In ecommerce business, website security and protection of sensitive data are the top issues. Today, we want to talk about the Stripe payment gateway and how you can integrate it in your store with the help of the Paradox Labs solution. Stripe is a powerful payment gateway providing merchants and customers with the set of features that optimize payment procedures and guarantee safe processing of confidential cardholder data. 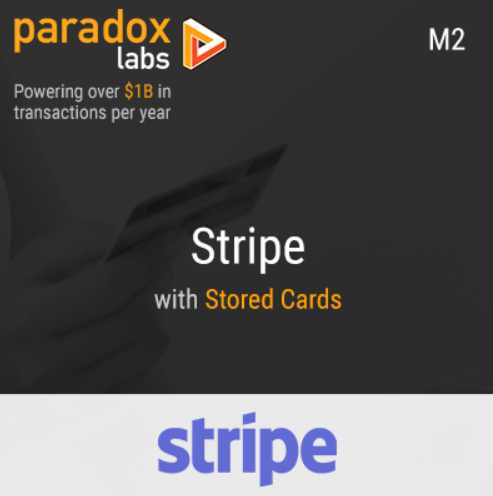 The Paradox Labs Stripe Payments module for Magento 2 provides online stores with Stripe integration. With the extension, store owners improve the user experience by allowing customers to save their credit cards and do the checkout in one click. All sensitive data is stored on the Stripe server, which brings the security of ecommerce sites to a new level and builds customers trust. Below, we look closer at the benefits that the Magento 2 Stripe payment module brings to merchants and customers, and describe how it functions in the backend and frontend. 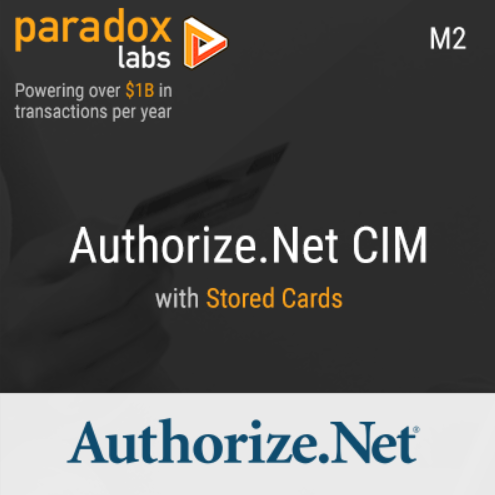 Today, we are describing an integration with a reliable and secure payment method – Authorize.net CIM – built by Paradox Labs for Magento 2 ecommerce sites. Authorize.Net is one of the largest payment gateways worldwide, enabling online stores to accept credit cards and eCheck from their clients. 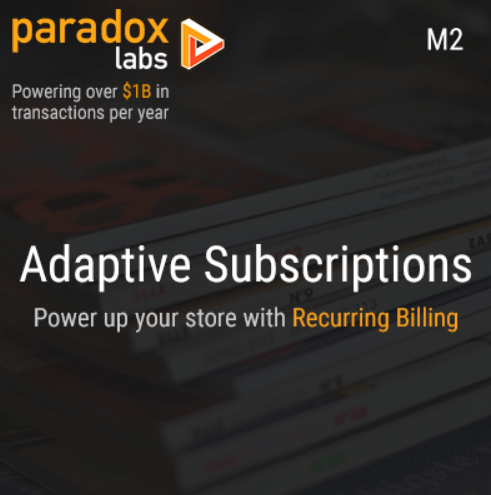 The Paradox Labs Authorize.Net CIM extension for Magento 2 extends the default platform functionality by allowing to transmit financial data via the secure network. Since Authorize.Net is a PCI compliant solution, merchants can prove the highest security of the saved credit card data to their customers and protect themselves from fraudulent actions. Below, we describe the benefits you will get after installation of the Magento 2 Authorize.Net CIM extension and look closer at the module’s backend and frontend functionality.